It's #IngressFS time again! But this month is special, we're celebrating the 4th birthday of IngressFS and we've got a few special surprises! Ingress First Saturday has come a long way over the past 4 years. Many kilometers have been walked and thousands of passcodes have been solved and redeemed. What hasn't changed is the dedication of organizers and agents from cities around the world! To celebrate the 4th birthday of IngressFS, we've also got a few surprises! Niantic is testing out a new feature that might make it to First Saturday! Attendees of FS events this weekend who hack the registration portal at the start and end of the event will enter a phase of 2x AP. AP earned between the hacks at the start and end will be doubled later that week in a server side push. Your registration portal should be the portal indicated as your Meeting Point Portal in your IFS registration form. We've also created a glyph challenge that will require many cities and both factions to work together to gain access to some awesome passcodes! We believe that IFS may be the perfect setting to do some XM research that explores the effects of the monthly glyph challenges in a different way. It has come to our attention that drawing these individual glyphs seems to give us a portion of a passcode and believe that once all glyphs in a sequences below are completed and verified, that we will gain access to the very special passcode and items within. Of course, you will have to prove you have finished this task by posting your portion of the challenge on social media (#IngressFS #IFS4thBday) and fill in the form below. 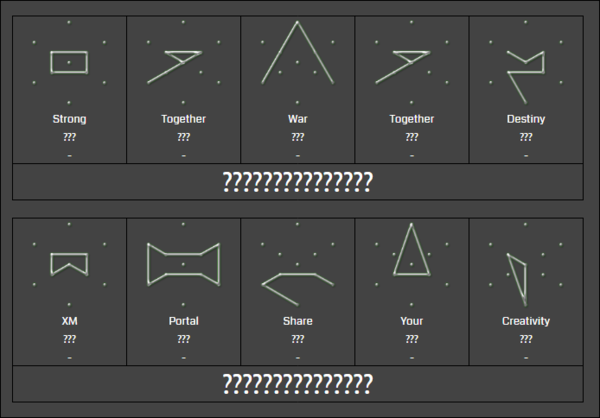 We ask that multiple agents of both factions be involved in creating these glyphs so that everyone has a chance to work together on this XM research. The artwork must be a new one created this weekend, it should not have been previously submitted for an Ingress Glyph challenge. 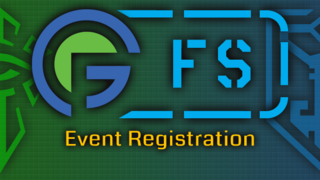 Don't forget to join your local IngressFS event, you can find your nearest one here!